Professional Quality pocket pen lock pick set. Includes 14 picks in aluminum and stainless steel handle. SKU: NPS-2000K. Category: Lock Picks. Brands: SouthOrd. 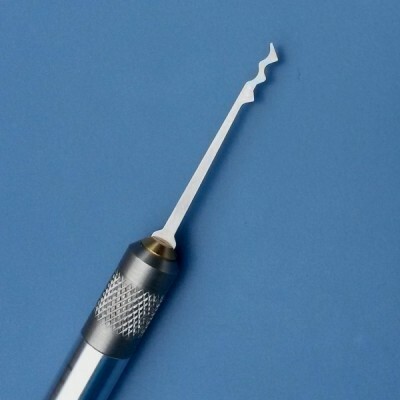 Carry a complete set of pin tumbler lock picks as conveniently as carrying a ballpoint pen! 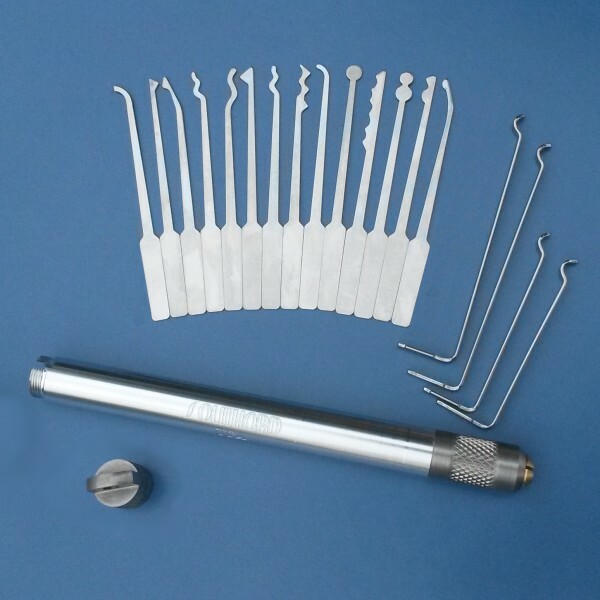 This professional set of tools includes 14 stainless steel picks, housed inside the stainless steel and aluminum body, with 4 tension tools, and a keyring. Individual picks are clamped securely into the jaws with a knurled locking collar. 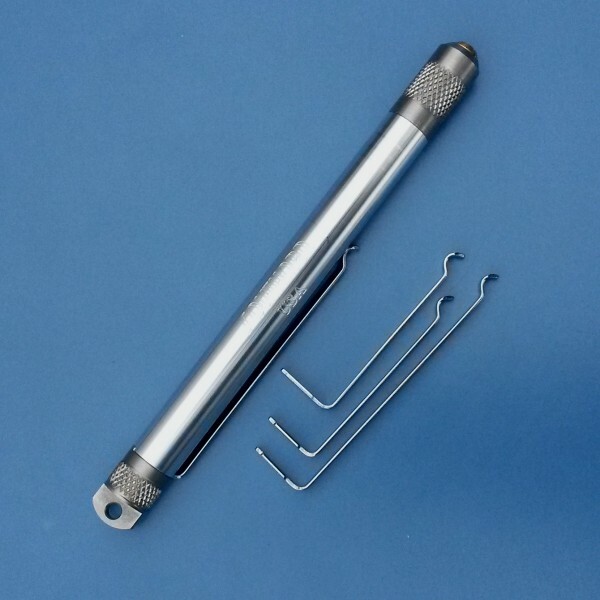 Tension tools double as a pen clip to secure the pen lock pick set to your shirt or pants pocket.